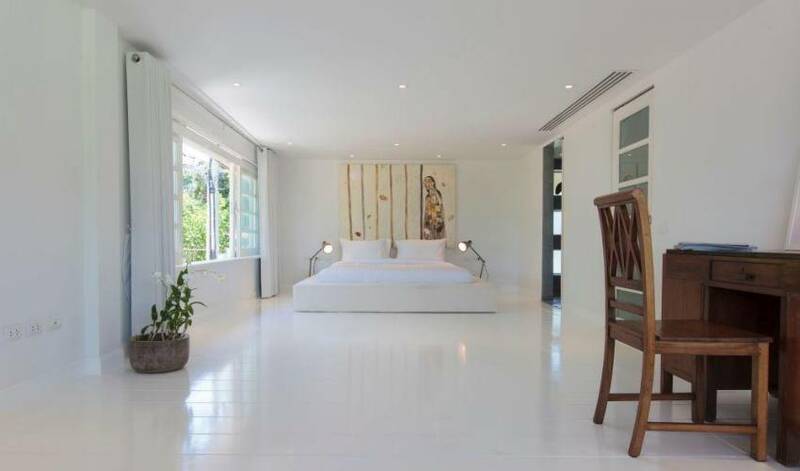 This stylish, contemporary, luxury 3-bedroom villa suitably located in a quiet area of Cheong Mon, only a short away from the white sandy beach of Koh Samui, pearl of the island. 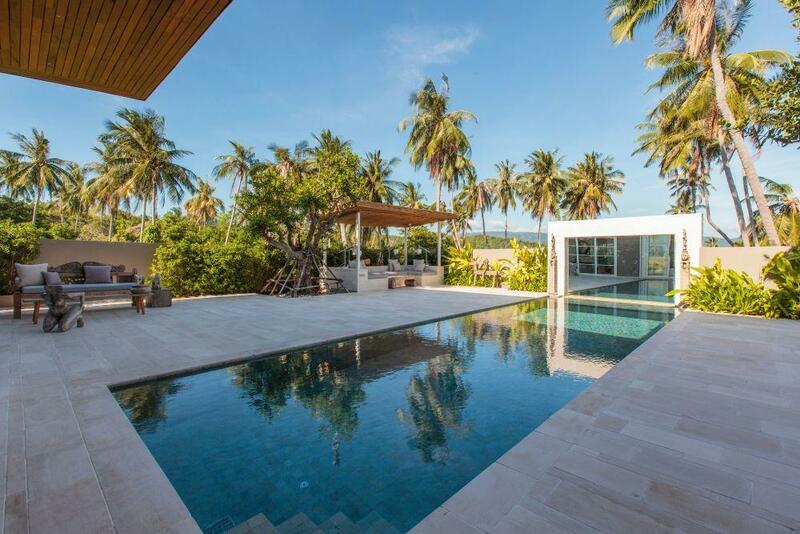 Conveniently, it is also less than 10 minutes away from Koh Samui’s international airport. 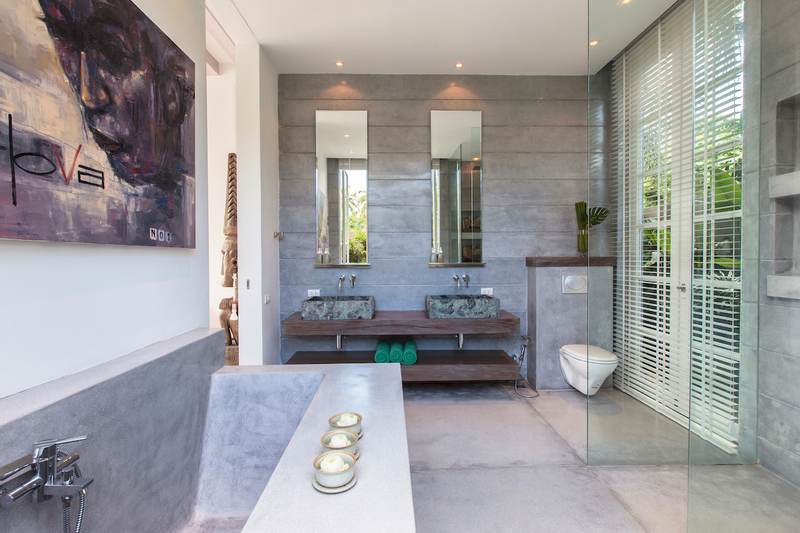 The villa offers 3 generous sized bedrooms, each one with its own chic ensuite bathroom. 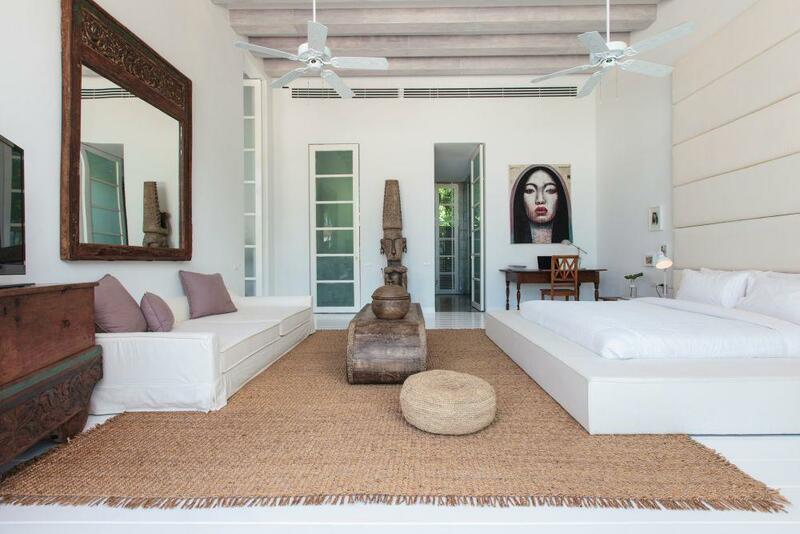 All bedrooms are comfortably furnished, complemented by a talented artistic flair. 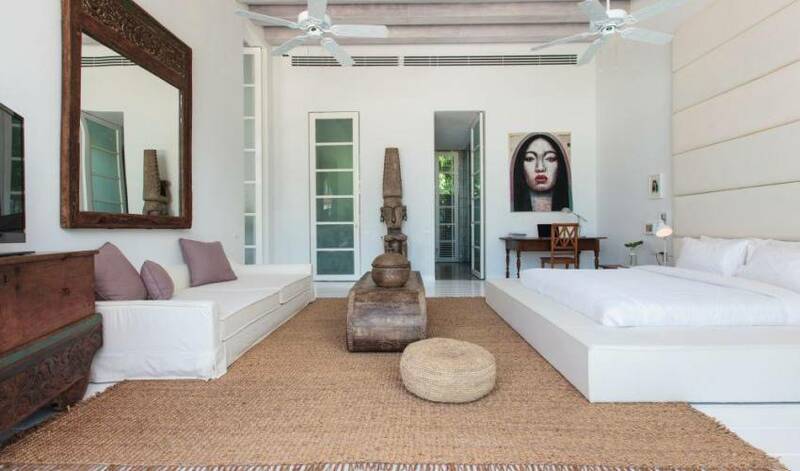 Fitted with individual entertainment systems, the bedrooms are all air-conditioned and the master bedroom also offers ceiling fans if preferred. The elegant open planned living, dining and kitchen area is a charming space perfect for guests to socialise, entertain or just unwind after the activities of the day. The sophisticated, modern kitchen is highly functional and is fully equipped for either self-catering or for the chef to prepare appetizing culinary dishes. This open plan living area includes an area to dine, sofas and lounges to relax, a large LCD screen TV, with DVD, CD, and satellite channels. WIFI is also available throughout the villa. The villa also offers guests a seamless access to the terrace, making it one big expansive and comfortable space to enjoy outdoors. 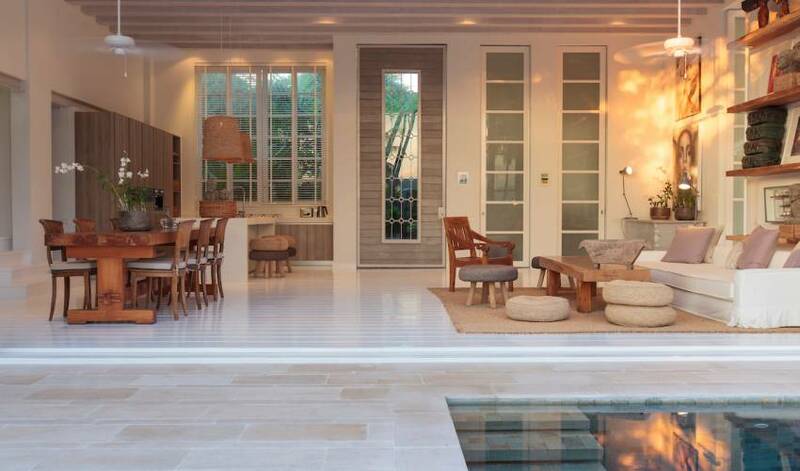 A pool sala to relax, a convenient poolside kitchen and a dining table allow to enjoy tropical dining under the stars. Even with the beach at the doorstep, the villa has its own 14 meter swimming pool, a bar terrace with BBQ deck for that ultimate alfresco dining experience. The villa is a fully serviced villa. The courteous and friendly staff will make sure your holiday be the most enjoyable and relaxing ones. The Villa Manager will ensure the correct functioning of the villa and assist you with any queries/requests you may have. 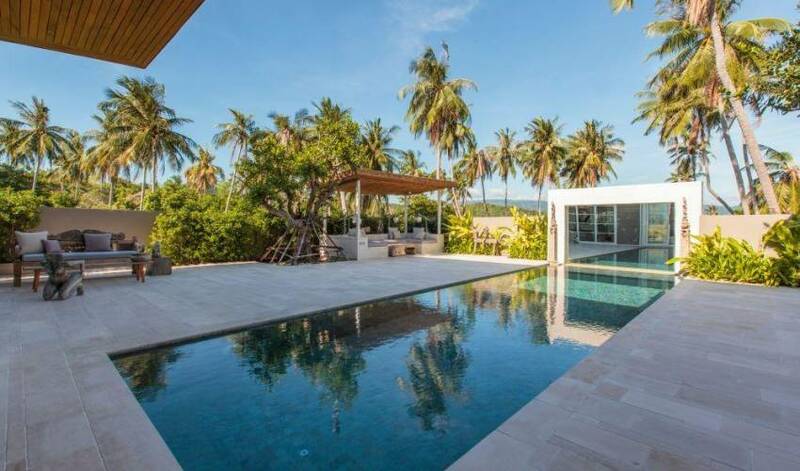 Located on the much-sought after North East part of Koh Samui in Choeng Mon, the villa is a short distance to the nearby golden sands of Choeng Mon beach, rated by many as one of the most beautiful beaches on Samui. 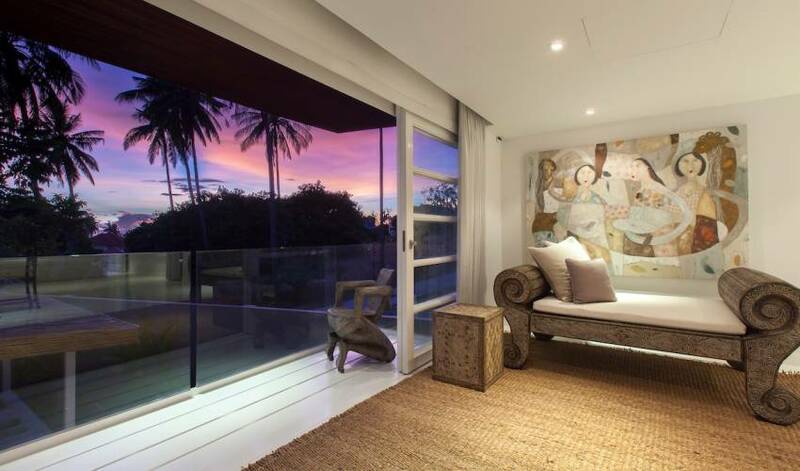 It is at a convenient 5-minute ride to Big Buddha Temple while the Bangrak Pier and Samui International Airport are 7 minutes’ drive away. 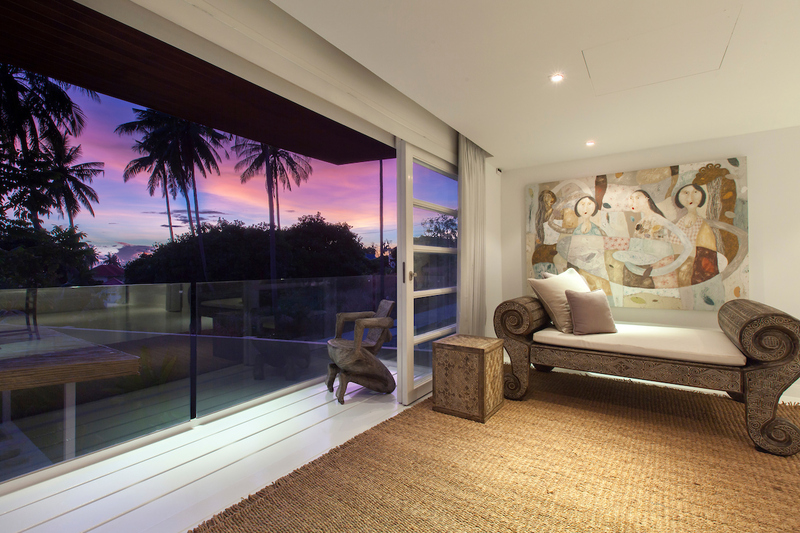 The residence allows easy access to some of the best entertainment and shopping areas and quality restaurants in Samui. The Chaweng beach, with its shops and nightlife, and Bophut Fisherman’s village with its vibrant restaurants, are only a few minutes’ drive away. Chaweng Beach: Over the past 20 years, Chaweng Beach has been transformed from a near deserted tropical bay into a vibrant, busy, cosmopolitan resort town. Although these days the beach is often very busy, the long winding bay is ideal for long beach walks early morning or at sunset time. Lipa Noi Beach: Located at the west coast of Samui. Koh Small, uninhabited beaches with crystal clear waters, perfect for relaxing beach holidays and snorkeling. From here you have the best sunset views. Apart from the beach, there's little else to do in the area - its very remoteness is what makes it most attractive to the regular visitors. At night, streets are transformed into a bustle of market activity on differing evenings of the week, across different areas of Samui (see roster hereunder). The busy markets are full of life as tourists as well as local residents flock to see the unusual and incredibly cheap eats and treats for all to indulge in and enjoy. The largest shopping complex on the island, opened March 2014. Shop souvenir, groceries or forgotten-at-home swimsuits/flip flop. 10 mins from the villa by car/scooter. 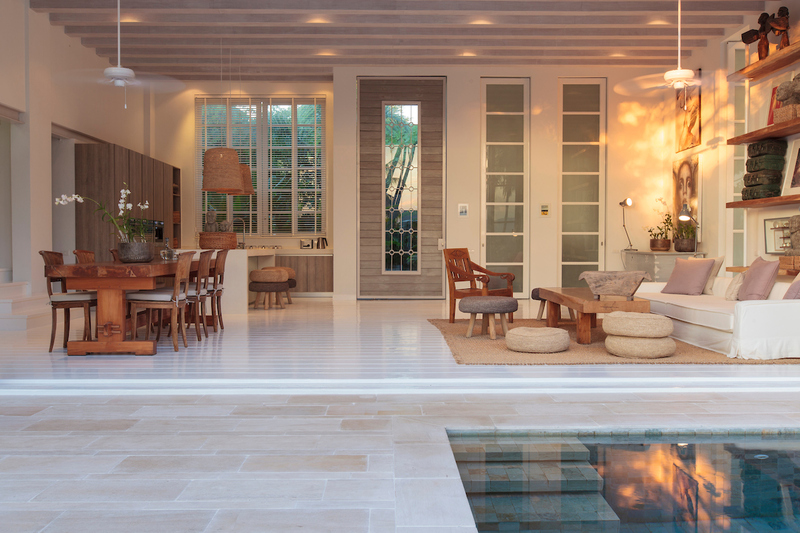 Vana Spa: Opened in 2013 as part of luxury collection of St Regis hotel group. Therapists are trained to the highest standard, treatment rooms are spacious and some come with private steam sauna/Jacuzzi. Check their monthly offers (usually a good deal) before booking. 10-15 mins from the villa by car/scooter. 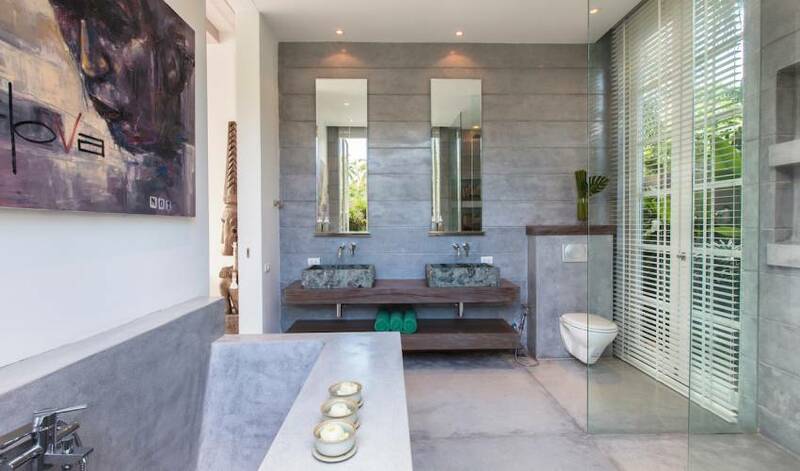 Spa at Six Senses: You can choose to have treatments in either air-conditioned individual spa villas or with tropical sea-breezes in private salas. 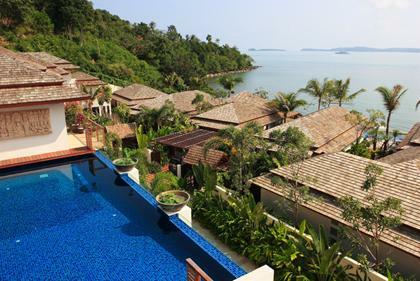 Wherever you choose, you will have a spectacular view across a rock-fringed bay to the Gulf of Thailand. 5 mins from the villa by car/scooter. 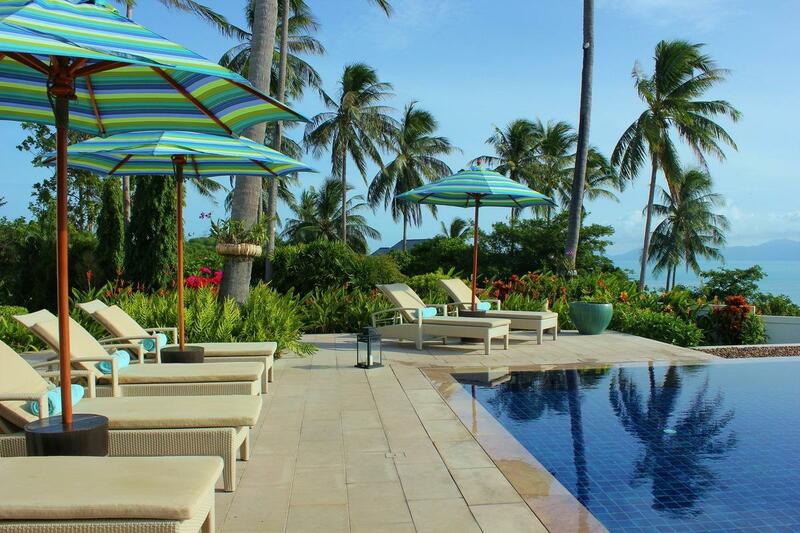 Samui is labeled ‘paradise’ not only for its tropical beaches and friendly people. Lately it’s become known for the culinary excellence you’ll find here too. Here are a few ones we feel are worthy of recommendation.